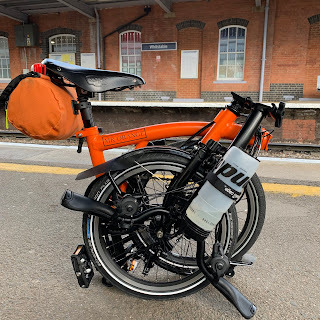 My Orange Brompton: I Navigate London to Brighton Overnight! 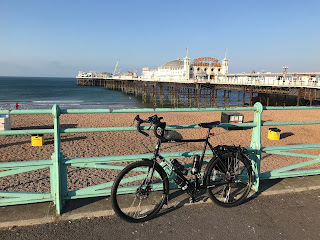 I Navigate London to Brighton Overnight! 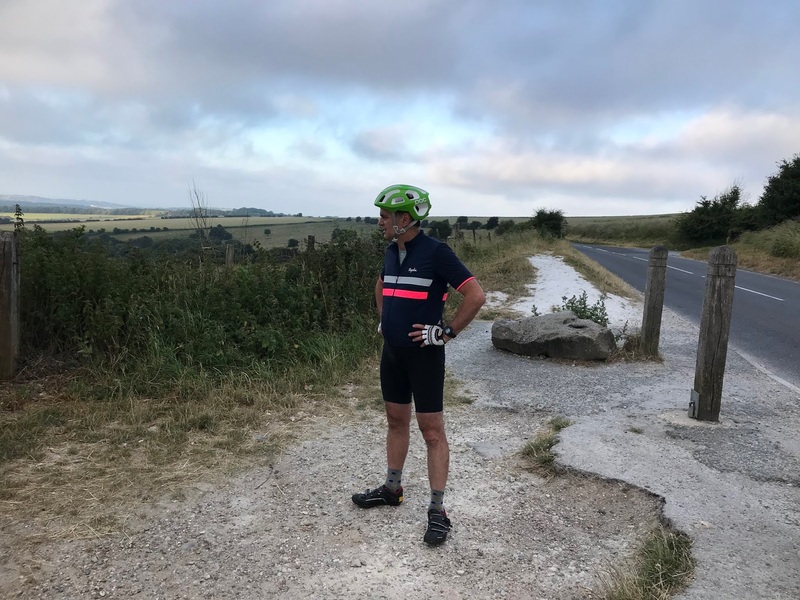 A few weeks ago - with the weather still as lovely as it is at the moment - I decided that I wanted to go on an overnight ride to the coast. 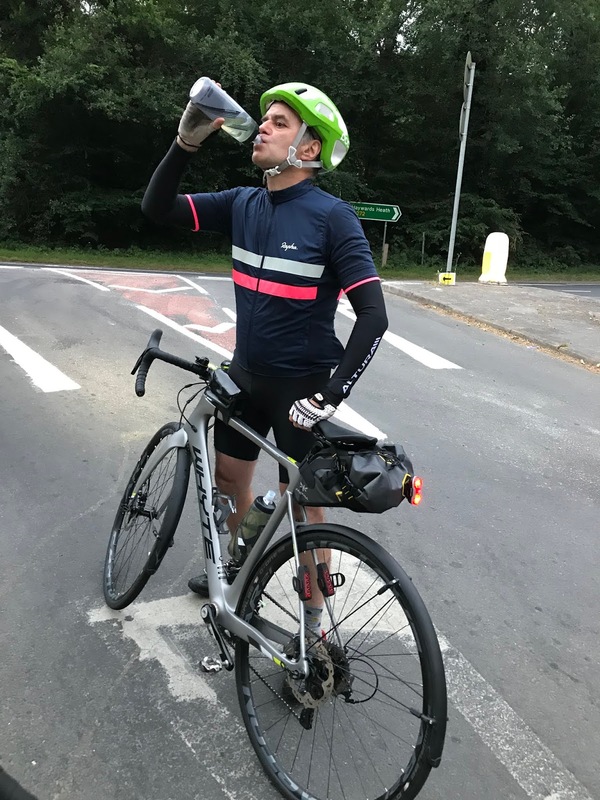 On the night of the 29th June and into the morning of 30th June I actually managed to do this and navigate the entire route! There were of course a few issues that needed to be ironed out. The first was that I didn't really fancy going on my own. I had done this once before using my iPhone and every other navigational device I could strap to my bike. (I stopped short of a Tom Tom Car Sat Nav you'll be pleased to know). The second was that I would be navigating my way there. I am not too good with navigation. Thankfully, Dr John agreed to come along so the first issue was sorted. The second - navigation - I left in the capable hands of my Wahoo Elemnt! The meeting point was the same one used on the Friday night rides to the coast, the time was the same (23:30) and even the route was the same. 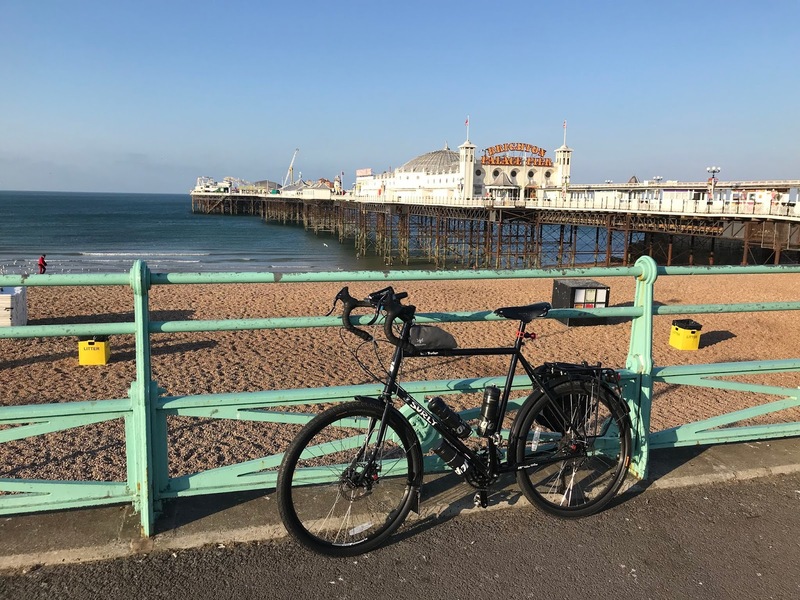 The last Brighton run was a lovely route so I decided to use it more or less as it was. On the way to meet Dr John somewhere near Barbican I spotted the familiar yellow Brompton of Jenny on the other side of the road. She swung round to say hello and it was lovely to see her albeit briefly. Dr John arrived in good time and after chatting until the allotted hour (midnight) we then set out into the night. 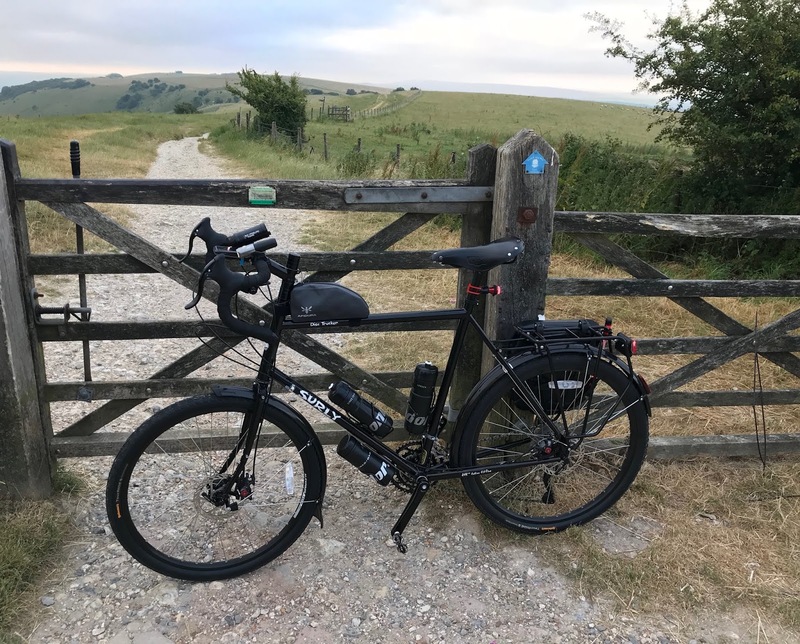 Dr John had placed a great deal of faith in me navigating all the way to Brighton from Central London and I have placed as much in my Wahoo Elemnt. (Spoiler alert! The Wahoo was brilliant)!! Our pace was very good. 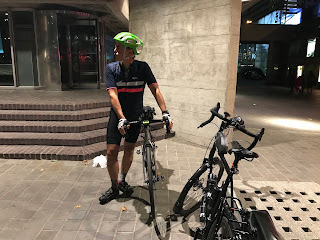 We were not really going any fast than the pace normally set by the Friday night rides to the coast crew but as there were only the pair of us and no tail to wait for, our progress was brisk. The weather was excellent. There was a gentle breeze and the temperatures - although not t-shirt weather - was very pleasant. 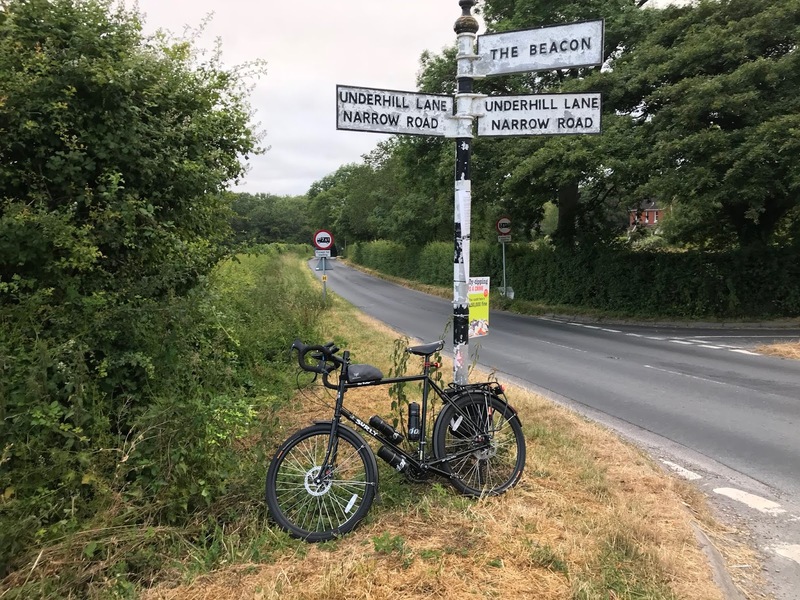 The roads were fairly quiet and after 28 or so miles we reached the halfway stop. This was the Scout Hut that on the previous ride had opened up especially for the much larger group, providing sustenance and sanctuary. The large gates were well and truly locked and outside we eat the meagre snacks we had brought with us. Suitably refreshed we set off again into the early morning. I felt the chill a little so decided to put on a super lightweight layer. During the early morning we saw all manner of wildlife. Owls, deer, rabbits and other creatures that we could hear but not see, which judging by the noise some of them made, was for the best! 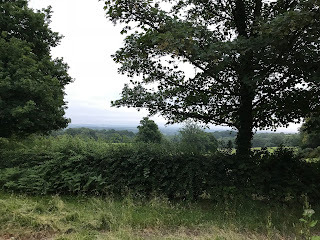 We approached Turners Hill and made our ascent at a good pace. At the top we sat down for a quick rest to collect our thoughts and kill a little time as we were making excellent progress. According to Dr John I not only rested my eyes but was asleep and snoring for a good ten minutes. He even took photographic evidence to confirm this! Not too long thereafter dawn was fast approaching and so was Ditching Beacon. It seemed strange that just the two of us were here and at times I wondered where everyone else was. We stopped at the car park at the base of Ditchling Beacon before making our ascent, which I suppose is traditional. An elderly lady walking her dog took ages to get going wherever her eager dog wanted to go which meant those of us wanting to powder our noses before the ascent had to wait! Dr John headed off first and was too into then distance and out of sight. 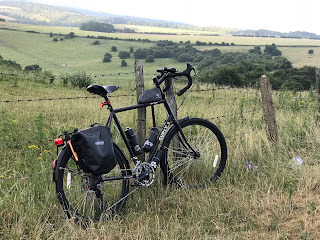 My Surly Disc Trucker again proved itself to be a wonderful bicycle in my eyes and confirmed that it is my favourite bicycle. After a few photographs to prove it happened we made our way to Brighton central. 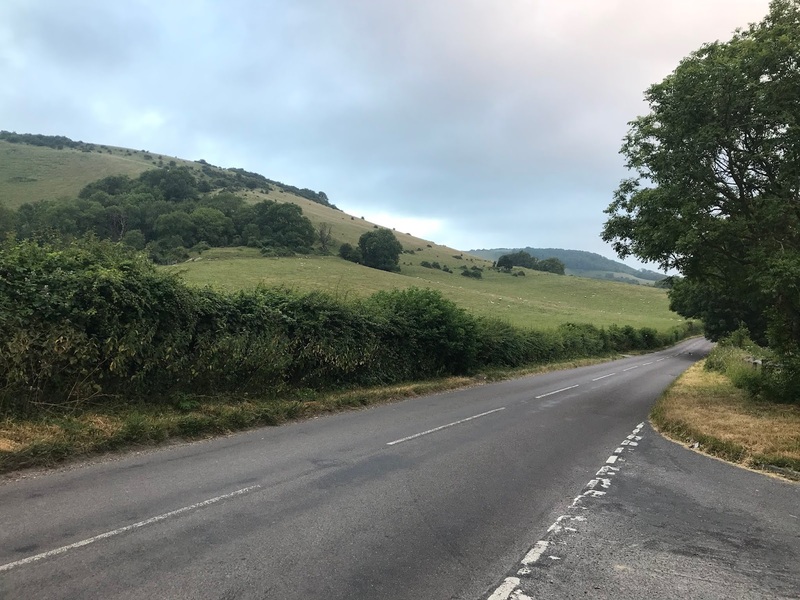 This part of the ride is always very enjoyable and with the final few miles it is all downhill. We headed for the Wetherspoons in the Marina but it was to open at 08:00. We had arrived much earlier which would have meant a lengthy wait. We therefore decided to head into the centre of Brighton to see if we could find an alternative. Luckily we did and fit being a stones throw from the station was a bonus. With a good breakfast we headed to the station. I was going to get on the quicker Brighton Express but it was filled almost instantly by a huge party of students and tourists. I ended up on the same train as Dr John - which was a blessing as had hardly anyone on it and we had a bike space. 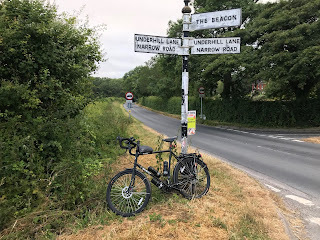 We parted once we arrived back in London with me vowing to repeat this again - possibly on the same day the Dunwich Dynamo takes place as I would not be participating in it this year. As I type this, Dr John and I will be doing this all again this Saturday night. 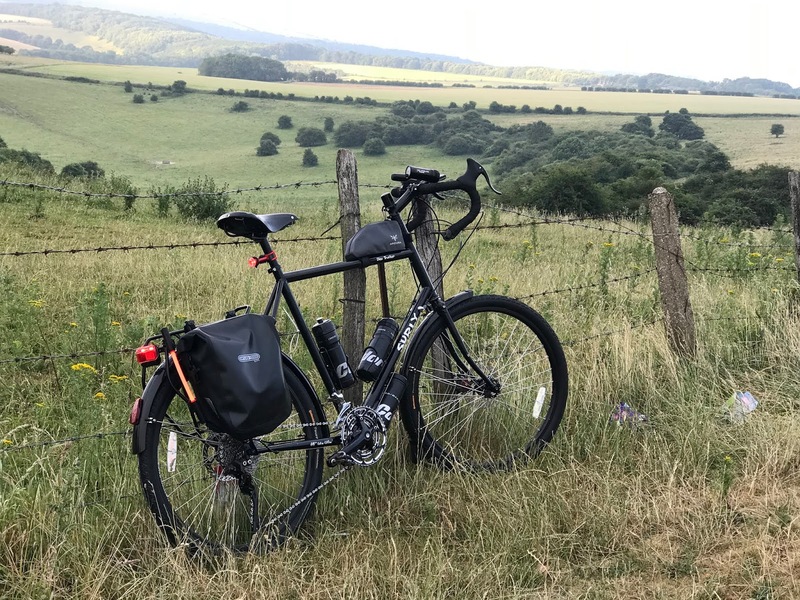 My Surly Disc Trucker has very quickly become my favourite bicycle. I have used little else since I bought it and have already clocked up several hundred miles. I can see me going on many more adventures with it. This was a wonderful route and a great little ride. 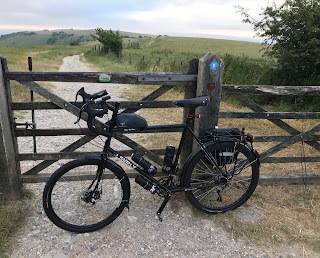 I am still amazed that I was able to navigate all the way there and this is testament to the confidence I place in the Wahoo Elemnt which is brilliant.